To help keep the air clean and fresh. Including large particles like pet dander and dust, reduces odor, harmful organic compounds and Formaldehyde, also traps 99.9% of particles as small as 0.3 microns. 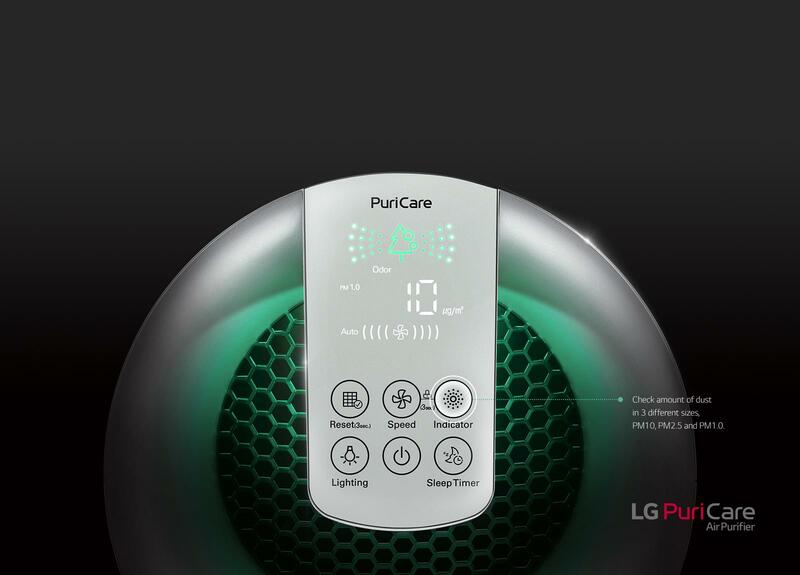 Consist of Permanent Washable Pre-Filter, PuriCare™ Micro Particle Filter and Deodorizing Filter and offers superior comfort and fresh air. The intelligent LED indicator system, with 4 colors shows you as the indoor air quality improves and dust particle size display keeps you informed. Feature 4 fan speeds for custom operation. A light indicator turns on when the filter needs to be replaced. Detects contaminants one micron or less in diameter, for more efficient filtration. Enhance home comfort by quickly eliminating these microscopic pollutants. 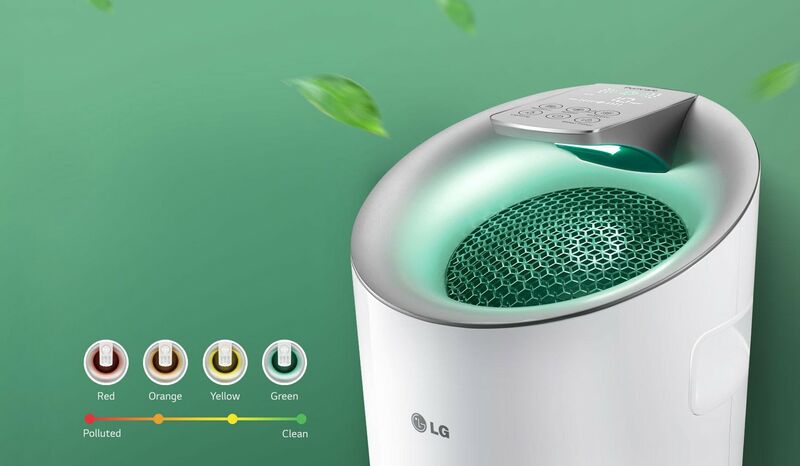 Intelligent fan setting that adjusts its purification power based on the current air quality to ensure clean air, while extending filter life and helping save energy. That deactivates the controls, to prevent accidental setting adjustments. Offers whisper-quiet sound levels as low as 20dB (sleep mode). Enjoy day and night while the air is continuously purified. 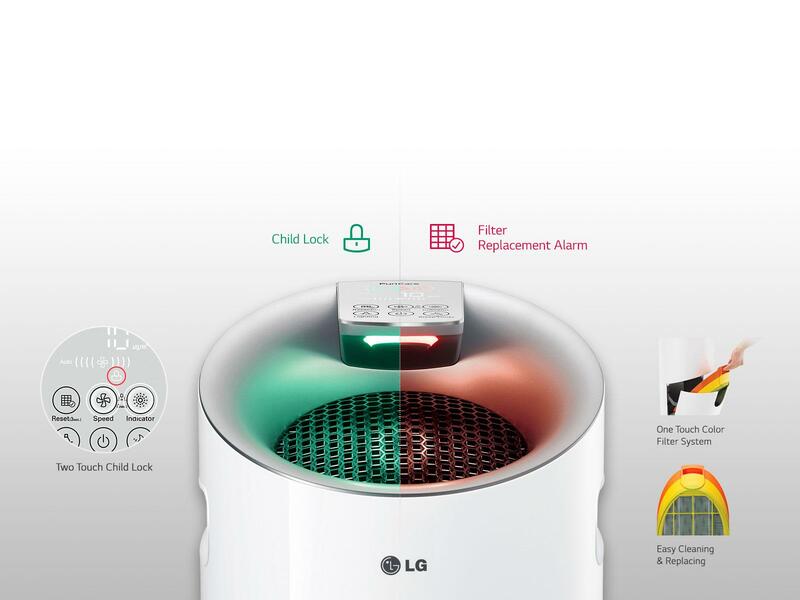 Allows preset operation for up to 12 hours for automatic use and to reduce energy consumption.